Worship isn’t just about singing and it’s not just for Sundays! We want to live authentic lives of worship that glorify God in everything we do throughout the week, but Sundays are when we come together and celebrate as a church family in a gathered act of worship. We sing to express our love and thankfulness for Jesus. When we worship in both our gathered times and our lives we find true intimacy with God who created us and who is also our Father who loves us. His grace and promise of freedom cause us to respond passionately with a real expectation to see His Kingdom revealed in our lives and in our community. 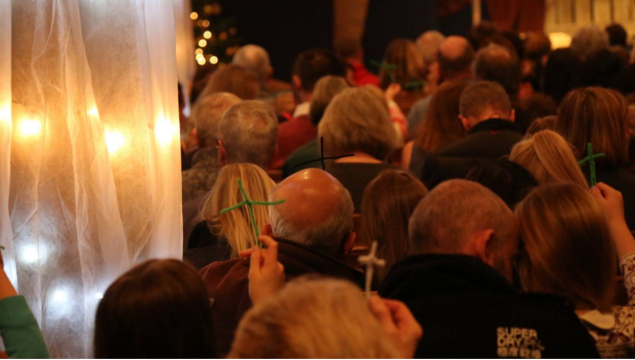 We use contemporary songs, traditional hymns, age appropriate songs, liturgy, bible readings, meditation and reflection to facilitate many different worship spaces where everyone can come and meet with God at their level. Important weekly elements of our gathered worship are thoughtful, relevant preaching and regular celebrations of Holy Communion.